Comedians Larry David and Jerry Seinfeld never thought anyone would watch their silly little sitcom about a New York comedian sitting around talking to his friends. NBC executives didn't think anyone would watch either, but they bought it anyway, hiding it away in the TV dead zone of summer. But against all odds, viewers began to watch, first a few and then many, until nine years later nearly forty million Americans were tuning in weekly. 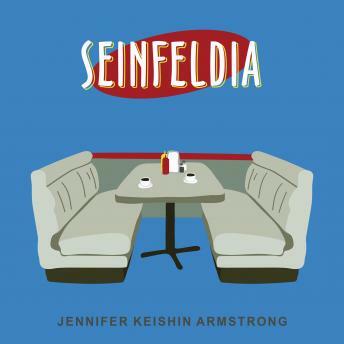 In Seinfeldia, acclaimed TV historian and entertainment writer Jennifer Keishin Armstrong celebrates the creators and fans of this American television phenomenon. She brings listeners behind the scenes of the show while it was on the air and into the world of devotees for whom it never stopped being relevant, a world where the Soup Nazi still spends his days saying No soup for you!, Joe Davola gets questioned every day about his sanity, Kenny Kramer makes his living giving tours of New York sights from the show, and fans dress up in Jerry's famous puffy shirt, dance like Elaine, and imagine plotlines for Seinfeld if it were still on TV.